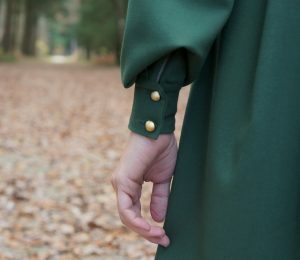 This technique is used for the sleeves of Oxanne dress. 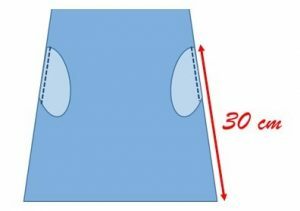 At the end of this article, I tell you how to modify the bottom edge of the sleeve in order to enlarge it. 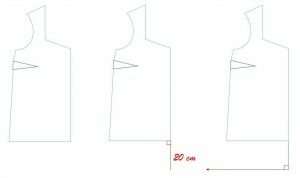 The principle of this technique is to enclose the sharp edges of the cut (at the bottom of the sleeve) in a bias tape. I give you a method but there are surely others, use the one that suits you best. 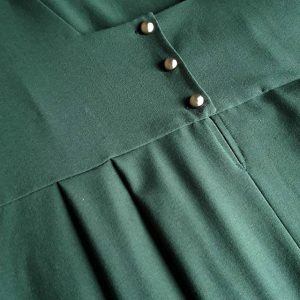 Here is a tutorial to help you with the making up of Oxanne buttoned placket. I also explain how to enlarge it. 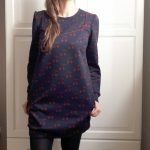 At the end of this tutorial, I tell you how to get rid of the placket (only for elastic fabrics). 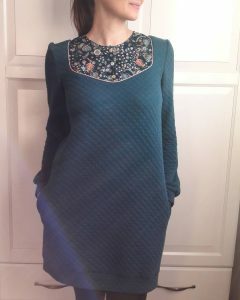 Neckline finishing. 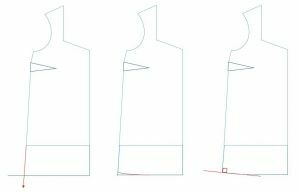 Here is a tutorial that I hope will be useful, especially to finish the neckline of the Ortense blouse or Nell top. I describe the two techniques I use, but there may be others! 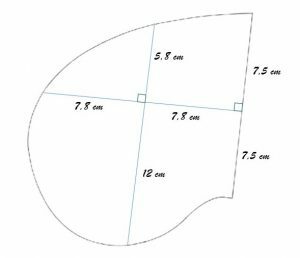 I use this one when I cut my bias in a piece of fabric.